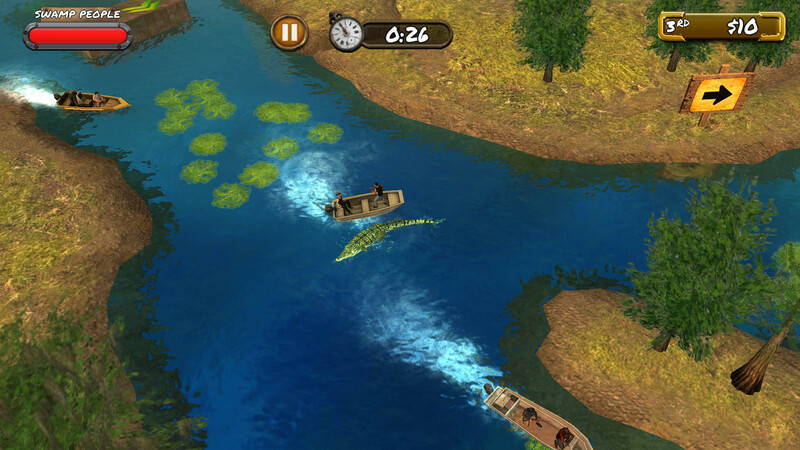 Go for the 'gators in this action game. Is there a better alternative to Swamp People? Is Swamp People really the best app in Action category? Will Swamp People work good on macOS 10.13.4? Swamp People takes you tearing through the swamps of Louisiana, hunting the biggest and baddest alligators around. Set up camp in the deepest reaches of the swamp and prepare yourself to hunt and race through the bayous. Learn the ways of the swamp, survive deadly encounters with monster gators, and show your friends you’re the best swamper around. Note: 4.1.5f1 is the version number reported in Finder; it is a reflection of the app's Unity Player runtime version. The developer refers to this version of the app as 1.0. Swamp People needs a review. Be the first to review this app and get the discussion started! Swamp People needs a rating. Be the first to rate this app and get the discussion started!